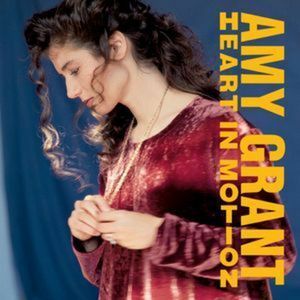 The First Echo: 20 Years Ago: "Baby Baby"
20 Years Ago: "Baby Baby"
The song that changed my 11-year-old life back in 1991 was the first #1 hit for Christian pop star Amy Grant. Who knew she'd have four more Top 40 singles ("Every Heartbeat," "That's What Love Is For," "Good For Me," "I Will Remember You") break out from the Grammy-nominated Heart in Motion? I didn't, but for the next two years, I became a fanatic. Actually, you can read all about it...HERE. Happy Anniversary, Amy. You were my early 90s.